Multidisciplinary care: Describe and explain the role and responsibilities of the physical therapist in pain management and the integration of physical therapy into the interdisciplinary team. Roles and responsibilities of other health care professionals in the area of pain management and the merits of interdisciplinary collaboration. Severe pain problems seriously affects the quality of patients' social and working lives. It can be described through marked changes in sleep patterns, coping mechanisms and ability to exercise, undertake normal daily tasks, and attend work and social activities that leads to a reduction in the physical, psychological and social wellbeing of the patient. The impact of pain on the individual patient is also exacerbated further by an increase in prevalence of comorbidities such as anxiety, depression and decreased physical and mental functioning [Breivik et al.2006]. Patients with multidimensionaly type of chronic pain often require long-term care with frequent reassessment and adjustment of therapy. The biopsychosocial model recognises these conditions as a combination of physical disfunction, beliefs and coping strategies, distress, illness behaviour and social interactions. Since the introduction of the biopsychosocial model, treatment for chronic pain has become multimodal and multidisciplinary, with emphasis on a range of strategies aimed at maximising pain reduction, improving health-related quality of life, independence and mobility, enhancing psychological wellbeing and preventing secondary disfunction. In order to achieve these goals, successful long-term management requires the use a range of specialist treatment that is tailored to the individual patient needs. In many countries, in practice, the core team consists of three physicians (primary care physicians, anaesthesiologists and psychiatrists) and nonphysicians (psychologists, physiotherapists and nurses) [Peng et al. 2008]. According to the International Association for the Study of Pain (IASP) guidlines, if one of the physicians is not psychiatrist, physicians from two medical specialities and a clinical psychologist are the minimum required. Within the multidisciplinary team, a coordinated approach is crucial to facilitate ongoing and effective regular comunication between all team members and consistency of message. Physiotherapists are valuable members of multidisciplinary team who makes an important contribution through their health promotion, prevention, screening, as well as triage, assessment and treatment activities. Apart from the treatment of musculoskeletal conditions, physiotherapists have a well-established role to play in the treatment and maintenance of chronic conditions such as cardiovascular disease, chronic obstructive pulmonary disease, diabetes, osteoporosis, obesity and hypertension. Evaluating and hence strengthening the musculature of the affected area, and also increasing coordination and endurance in both the ailing muscles and surrounding supporting structures. 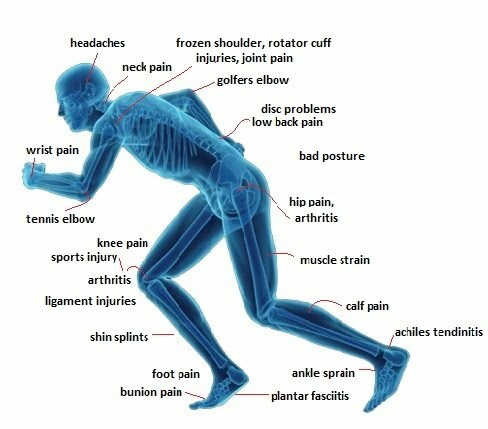 Improving balance and posture, particularly if the injured area is influenced by these. Teaching the patient how to reduce the severity of pain through the use of appropriate body mechanics and exercise pacing. Using a behavioural therapy approach to help restore physical activities and improve the quality of life for people who have chronic pain conditions by encouraging them to learn how to manage their pain and any disability on a day-to-day basis. Evaluating patient's home environment and improving its accessibility and suitability for him/her and his/her condition. Primary Care Physician: usually plays a central key rol as a gatekeeper and coordinator of the treatment strategy. He or she is responsible for the long-term management and care of the patient with chronic pain according to the treatment plan, and refers the patient for further treatments and assessment as necessary. Anaesthesiologist/anaesthetist: uses his/her expertise to recomended and implement advanced pain management procedures ranging from peripheral or central nerve blocks to radiofrequency procedures, device implantation and other neurodestruction techniques. Anaesthesiologists have much experience using potent analgesic drugs as well as surgical or neural blockade and, in some countries, for example the UK, anaesthesia is the only specialty that incorporates advanced pain management within its training programme. Orthopaedist: may be able to offer a patient corrective surgery to alleviate their chronic pain, although surgeons, other than those specialising in orthopaedics, may also be able to undertake this role. Rheumatologists: are experienced in managing patients with chronic pain associated with inflammatory disease of the musculoskeletal system and connective tissue, degenerative disease of the joint and spine, and soft tissue disorders. They are also able to investigate patient for rheumatological processes. Neurologist: undertakes a comprehensive neurological examination of the patient and recommends appropriate therapeutic pain management options. Neurosurgeon: may perform spine surgery for discogenic pain treatment. Nurse: performs ongoing assessments of the patient's pain and helps to establish treatment plans and assists in interventional procedures. He/she also answers patient's questions and provides ongoing patient education by phone or e-mail and may assist in the titration of medications. Phychologist: responsible for a day-to-day psychosocial care of the patient. Implementation of cognitive behavioral therapy and psychological therapies, such as autosuggestion, biofeedback techniques and hypnosis, can also be used to help patients manage their negative feelings due to pain in some diseases, to reduce the pain level and improve physical and emotional functioning. Psychiatrists: play an important role in the management of patients with chronic pain who may also have a variety of recognised psychiatric disorders, including depression, analgesic overuse and addiction, and post-traumatic stress disorder. Pharmacist: may consult with the patient and their primary care physician to either implement or recommend a medication management plan for patients with complex medication needs to avoid any drug-drug interactions, drug misuse or an overdose risk. This may reduce the risk of side effects and improve patients' satisfaction with pharmacotherapy. Occupational therapist: is involved in both the physical and vocational aspects of the patient's rehabilitation. Many patients with chronic pain are unable to work and therefore the occupational therapist may help with vocational retraining and aid a smooth transition back to work. Social worker: provides community support and helps with the management of stress between patients with chronic pain and their immediate family and friends. Deticians: can offer advice on nutrition and provide dietetic support as chronic pain can cause an appetite disturbances and limit the mobility of patients, resulting in obesity, which, in many cases, is a cause of chronic pain, especially back pain. In addition to the members described above, a gynecologist, urologist or paediatrician may be included in the team for the management of patients with pelvic and paediatric pain, respectively, and other approriate specialists may be included when patients with other types of chronic pain present. It is not possible for every chronic pain patient to be managed in a multidisciplinary way as the numbers are too high and healthcare resources may not always be available; therefore, it is imperative to identify which patients will benefit from this multidisciplinary approach to care. Patients who have not responded to initial therapy, and with an uncertain diagnosis despite detailed medical evaluation, should be referred to and managed by a multidisciplinary team. 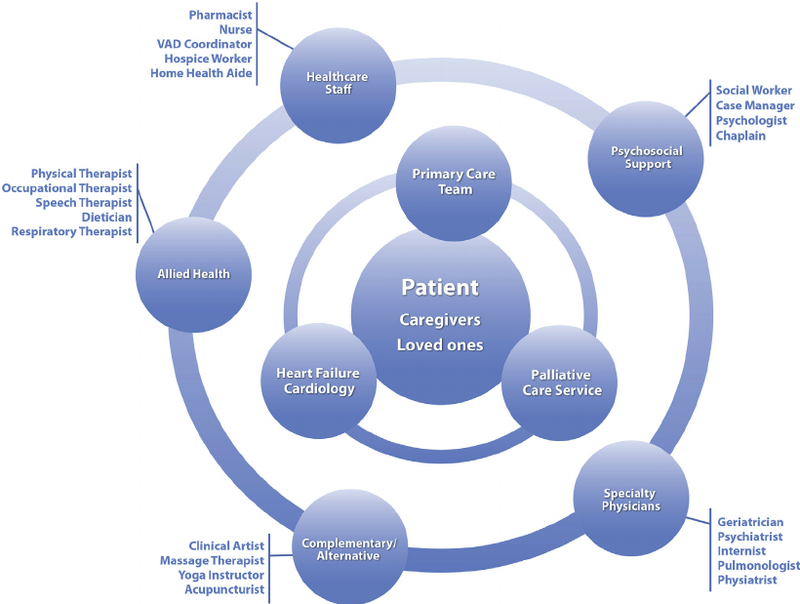 The integration of multiple treatment modalities, including behavioral modification therapy, has resulted in considerable improvements for patients suffering from chronic pain in terms of a reduction in the use of medications, improved functional ability, increased likelihood of returning to work, improved quality of patient care and patient satisfaction, as well as reducing healthcare costs (Cassisi et al. 1989; Deardorf et al. 1991; Kames et al. 1990; Flor et al. 1992; Chen 1996; Luk et al. 2010).